The demand for lithium is increasing. Lithium is a soft metal. Actually, it is the lightest and one of the least dense elements. Consumers know a little something about lithium because it is a primary ingredient in the batteries that power electric cars. Lithium is also found in an array of consumer electronics devices such as smartphones and tablets. With demand growing for products such as those and others, investors have a few ways to profit from increased lithium demand. While lithium is mined in similar fashion to other metals, including precious metals such as gold, palladium and platinum, there is no futures market for lithium. That means even the most aggressive investors need to consider lithium equities as at least one way of getting exposure to the metal. There is another important point investors need to realize before getting involved with lithium stocks. Due to the metal’s abundance relative to say gold or platinum, lithium is much cheaper than those metals. That means many companies that can be called "lithium stocks" are involved in the mining or production of other chemicals or metals. Conversely, because of the allure of precious metals, some companies only mine gold, silver or platinum. Bottom line: Even among the largest publicly traded lithium producers, none can be accurately described as "pure play" lithium companies. Rather than trying to stock-pick among lithium producers, investors who want to avoid single-stock risk can consider an exchange traded fund. 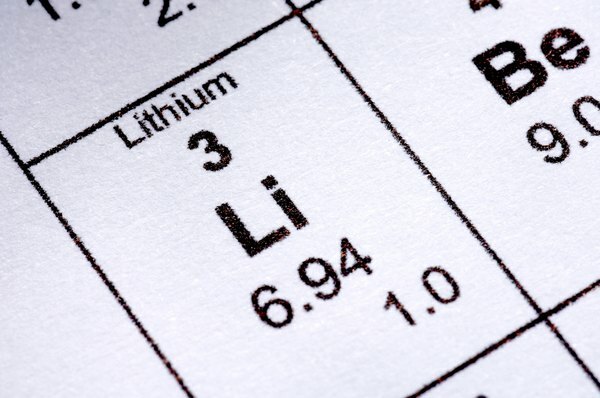 There is at least one ETF focused on lithium equities, the Global X Lithium ETF (NYSE: LIT). The Global X Lithium ETF debuted in 2010 and does give investors exposure to a broad swath of lithium-related companies. Investors should note that over the course of the ETF’s trading history, it has had a tendency to be heavily allocated to a small amount of stocks. The fund has also been volatile relative to the broader market, indicating it may not be the best choice for conservative buy-and-hold investors. Investors that want to gradually wade into the lithium investment thesis have another option available. They can evaluate an ETF that tracks a country with bountiful lithium reserves. Outside of the United States and China, two examples of countries with large lithium reserves are Australia and Chile. Fortunately for investors, there are several noteworthy options among Australia ETFs and at least one well-known Chile ETF. Regarding the ETFs that track these countries, most of the funds offer significant exposure to mining and materials stocks, meaning investors can get a little bit of lithium exposure without an "overweight" view on the element. For an additional fee, many brokerage firms will allow U.S. investors to trade Canadian stocks. The Toronto Stock Exchange and other, smaller Canadian exchanges have been home to various lithium mining shares. In this case, investors need to do their due diligence because many of these companies are small- or micro-caps that can be illiquid and risky.